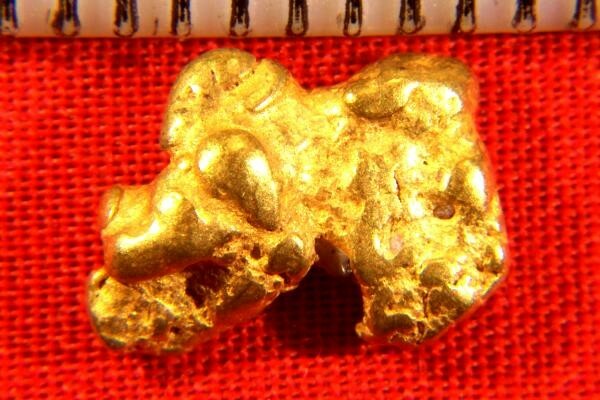 This uniquely shaped Gold Nugget from California has a ton of character. It has a butterfly shape with lots of texture, and nice "fat" feel. The weight is 37.1 Grains (2.4 Gram). The size of this unique beauty is 1/2" (12 mm) long. 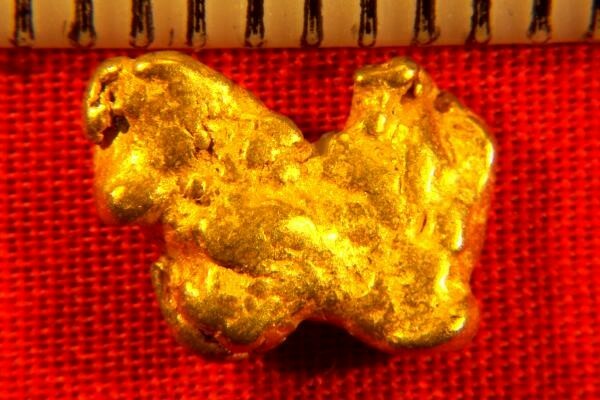 California Gold Nuggets this nice are hard to come by.